Available now at the Discovery Centre , Clarence Mill, Bollington or by mail order. New footpath maps now available! 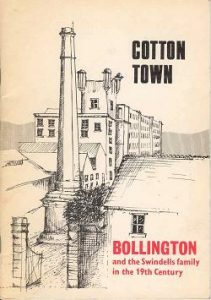 The Discovery Centre provides the primary source for books about Bollington. Many books have been written over the years and most, alas, are now out of print. It is our plan to re-publish many of these and to provide a continuing stream of new publications about the town, its people and the local area. 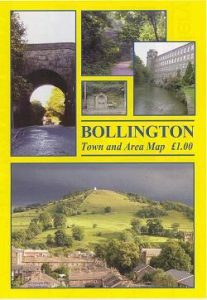 A full list of books and booklets about Bollington and authors’ references to Bollington can be found on the Happy Valley books page. Here we list only those items available at the Discovery Centre . George Longden & Molly Spink, Willow, 1986. This popular picture book has been re-printed and is available at the Discovery Centre or by mail order. Revd. R. Norton Betts, 1934. Until recently as rare as hens teeth, this delightful book has been re-published. It is available newly typeset and with a new cover at the Discovery Centre or by mail order. Copies of this old book are available by mail order or at the Discovery Centre only! 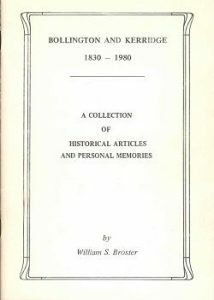 A collection of Historical Articles and Personal Memories. Thought to have been out of print, a considerable number have been found among the late Dr John Coope’s effects. We are most grateful to his family for allowing us to make them available through the Discovery Centre . Also available by mail order. A bargain! Copies have sold on eBay for more than £10! 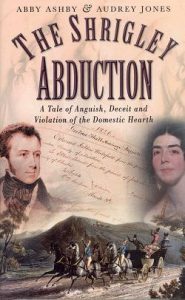 Abby Ashby & Audrey Jones, Sutton Publishing, 2003.Pott Shrigley rather than Bollington, but a superb tale of “anguish, deceit and violation of the domestic hearth” – and it’s all real life about the daughter of the Turner family of Shrigley Hall. Available at the Discovery Centre or by mail order. For more on Ellen Turner and her family see the history page William Turner of Shrigley Hall. 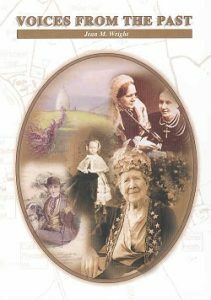 Jean M. Wright, 2005This beautiful new book is available at the Discovery Centre or by mail order. The book is based on letters written by Jean’s husband’s grandmother, Martha Ann Wright, who lived to the age of 100 and worked as a maid at The Mount, then the home of Samuel Greg. 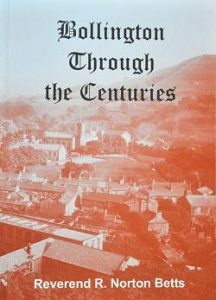 Christopher Ward, 2008A short history of the church at Bollington Cross together with a guide to the key points. 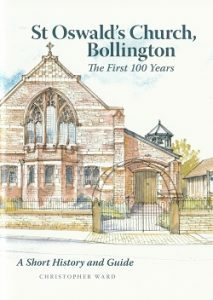 Lavishly illustrated including many delightful drawings by local artist Ann Stringer. Presently unavailable. Jean M. Wright, Bollington Methodist Church, 2007. 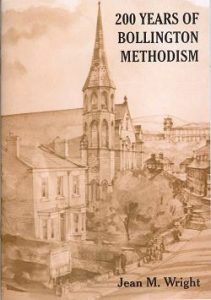 Specially written to celebrate the 200th anniversary of the establishment of the first Methodist church in Bollington in May 1808. Presently unavailable. Wilmslow Historical Society Industrial Archaeology Group, 1973, reprinted 1986. The Godfrey Edition, 2005Reduced from the original OS 1:2500 map to a scale of approximately 1:4340 (or about 15 inches to the mile). Covers old Bollington east of the Middlewood Way and part of Kerridge. 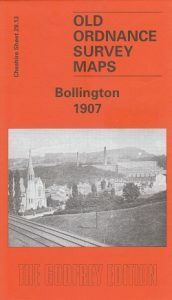 On the back there is a description of the area together with an extract of Bollington and Kerridge businesses from Kelly’s Directory of Cheshire 1896. It is available at the Discovery Centre or by mail order. Wild Boar Map series by Finders UK Ltd., 2005. 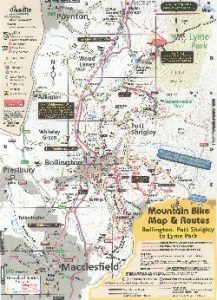 This new map is invaluable to off road bikers and indicates all that you need to know such as terrain, surface, steepness, refreshment points and much more. Complete with route descriptions; supplied in a waterproof sleeve. It is available at the Discovery Centre or by mail order. Published by Bollington Town Council, 2008. An update of the town map showing the street layout and the location of the principal premises in the town. Street index. It is available at the Discovery Centre or by mail order. Published by Bollington Town Council, 2008. 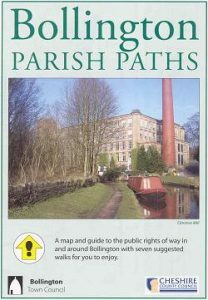 An easy to read footpath map showing all the paths, and there are a lot, in Bollington and the surrounding area bounded by Pott Shrigley, Rainow, Higher Hurdsfield, Tytherington, Prestbury and Whiteley Green (Adlington). Also includes walking guides for seven different popular walks of varying lengths. It is available at the Discovery Centre or by mail order. Published by Prestbury Parish Council, 2008. 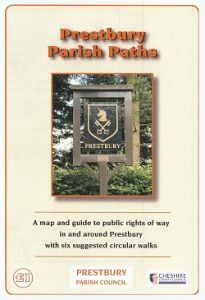 An easy to read footpath map showing all the paths in Prestbury and the surrounding area bounded by Woodford airfield, Adlington, Bollington, Butley Town, Tytherington, Over Alderley and Motram St Andrew. Also includes walking guides for six different popular walks of varying lengths. It is available at the Discovery Centre or by mail order. Published by Rainow Parish Council, 2008. 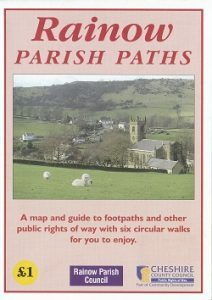 An easy to read footpath map showing all the paths in Rainow and the surrounding area bounded by Pott Shrigley, Kettleshulme, Shining Tor, Walker Barn, Higherfence, Higher Hurdsfield, Kerridge and Bollington. Also includes walking guides for six different popular walks of varying lengths. It is available at the Discovery Centre or by mail order. Published by Pott Shrigley Parish Council, 2008. 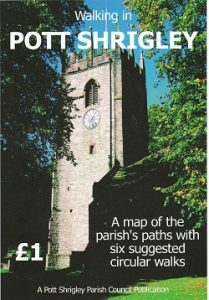 An easy to read footpath map showing all the paths in Pott Shrigley and the surrounding area bounded by Higher Poynton, Lyme Hall, Hedgerow valley and the Middlewood Way. Also includes walking guides for six popular walks of varying lengths. It is available at the Discovery Centre or by mail order. 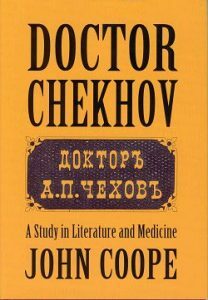 Cross Publishing, 1997This highly acclaimed biography of Anton Chekhov was written by Bollington’s leading doctor of many years whose interest in medicine and literature lead him to Chekhov’s similar loves. Hardback.It is available at the Discovery Centre or by mail order. 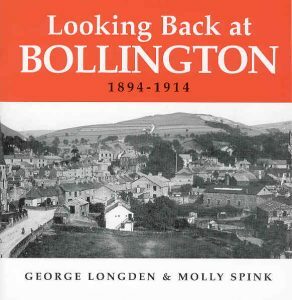 The Discovery Centre also stocks a number of other books not directly related to Bollington. Please note that the cover illustrations above have been scaled to fit the space available and do not represent the actual size of each book or map. The actual size is given in the listing to the right. * Post & packing must be added to all prices. Any of these books and maps can be obtained from us by mail order – please email the Discovery Centre for details indicating what country you wish your order to be posted to. Post & packing at cost and will be quoted to you for confirmation before your order is dispatched. Pay by cheque (UK customers only, we’ll give you the payee and address on enquiry) or, if you have an account, use Paypal. When paying by PayPal please make the payment clicking here, signing in, click on the Send Money Now tab then enter tim@happy-valley.org.uk in the email address field and the amount to be paid in the amount field. Remember to send us an email to tell us what you have done – use this to tell us your name and postal address so we know where to send your purchase! We will dispatch your purchase as soon as possible after payment is confirmed by PayPal. If not entirely satisfied with the goods you have seven working days, from receiving the goods, in which to cancel the order and receive a full refund. You should notify us by emailing the Discovery Centre and return the goods in good condition post paid as quickly as possible. Nothing in this condition detracts from your statutory protection. Postal address: Discovery Centre, Canal 5, Clarence Mill, Clarence Road, Bollington, Macclesfield SK10 5JZ. Please note! For book orders and enquiries please use the email address provided above and not the Contact link below which is for web site management only!